Millions of Canadians have had their pension pots allocated into offshore funds — without being properly informed about it according to report released yesterday. Canadian news organisation CBC conducted an investigation based on the Paradise Papers leak that says that it has found that millions of ordinary Canadians have an interest in money parked in tax havens — almost certainly without knowing it. Seven of the country’s so-called ‘Big Eight’ pension funds, representing more than 25 million workers, have used tax havens as they invest Canadians’ retirement savings, according to the records in the Paradise Papers leak of offshore financial documents. The CBC report questions whether Canadians’ retirement money is underwriting an offshore industry that undermines tax fairness and transparency something that Hassan Yussuff, the president of the Canadian Labour Congress who said Canadians’ pensions simply shouldn’t be invested in tax havens because of their notoriety as epicentres for tax dodging. Yussuff said it’s contradictory to keep pledging tax fairness and transparency while, simultaneously, the CPP — the federal pension plan — is involvedin some of the very tax havens that are the targets of tax fairness and transparency campaigns. CBC stated that the pensions’ high-profile offshore dealings include the 407 Highway north of Toronto, which the Canada Pension Plan Investment Board bought a 40% stake in — partly through an entity in Bermuda. Or the high-speed rail line from London, England, to the Channel Tunnel, which a pair of Canadian pension funds owned until earlier this year via a shell company in Jersey, a tax haven in the Channel Islands. None of the pension plans would say exactly how much of their revenue is generated by investments through tax havens. In response to questions from CBC, almost all of them pointed out that Canada doesn’t tax pension plans on their investment income, so their use of tax havens makes no difference to federal or provincial government coffers. 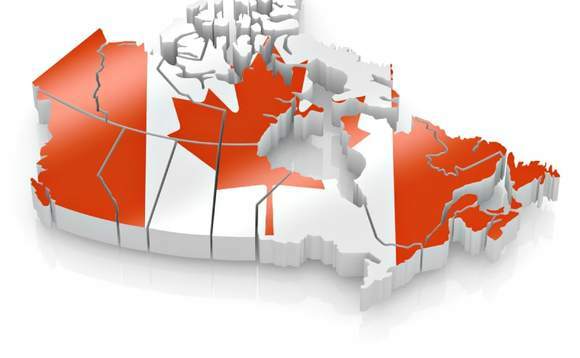 Some Canadian pension funds acknowledged that offshore investment structures help them legally minimize their tax burdens abroad. Some even said it’s their duty to do so in order to maximize savings available for retirees, CBC reported. “We structure our foreign investments to maximize the after-tax investment returns available to CPP contributors and beneficiaries,” the Canada Pension Plan Investment Board (CPPIB) said in a statement, noting that 85% of its assets are abroad. “CPPIB has a responsibility to over 20 million contributors and beneficiaries to seek a maximum rate of return to help sustain the CPP fund for multiple generations. To read the full CBC report click here.